After a combined 48 weeks of careful comparison in blind tests, five intrepid gentlemen helped us test 12 top products to select Cremo – Original Concentrated Shave Cream as the best shaving cream. Cremo hasn’t been around as long as most of their competitors, but they seem to have nailed the formula for a great shave. 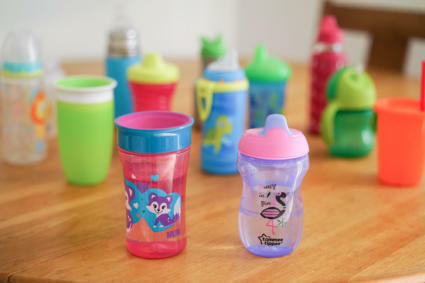 The availability and price for this product sealed the deal for us. Our runner-up is the classic British brand Taylor of Old Bond Street. What does shaving cream do? The number of shaving products on the market is staggering. On one end of the scale, the major health and cosmetics brands have shaving product lines worth billions. On the other end, there are also limited-quantity batches of artisan soaps made for shaving aficionados. Even the line between the world of big-budget-Superbowl-brand shaving products and the “prestige” market is blurring. Proctor and Gamble expanded on their Gillette offerings by purchasing a chain of boutique barbers called “the Art of Shaving”, now complete with wood-handled Fusion razors, expensive magazine spreads and movie tie-ins. 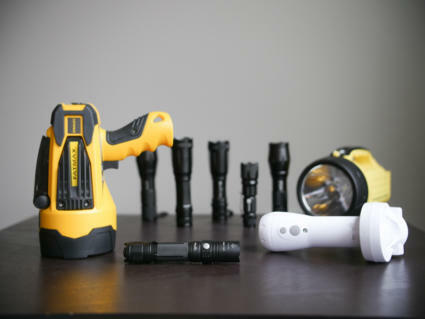 Narrowing that broad spectrum to a set of products worthy of our recommendation wasn’t easy. Our senior researcher for this project has been “wet shaving” with brush and soap for the last 16 years, tinkering with everything from antique straight razors to the Headblade. He’s a shaving nerd to his core. Recommendations and opinions about shaving products abound on the internet. A diverse cast of characters has devoted their time to shaving info: guys like straightrazorplace.com’s Lynn Abrams, all the Youtube shaving-how-to celebrities, podcasters, wiki editors and helpful forum commenters. For this review we compiled long lists of popular products and combed the forums for information about regional availability of everyone’s favourite tubes and tubs. The creams we included were selected for reputation (based on Amazon reviews, online comments, as well as a few of the other non-enthusiast comparison reviews that weren’t just advertisements), availability and price. Availability was weighed heavily. If you have a choice of three scents at a local retailer you can smell them yourself; even if you get to pick from a list of a dozen scents on an e-tailer’s website, there’s a risk you’ll dislike what shows up on your doorstep. We talked to a chemist from UC Irvine and did some research into the ingredients of shaving products, and learned that the primary functions of shaving cream are actually pretty basic. Shaving cream helps get water into your hair, making the hair cells swell into bigger targets for the edge of the razor to hit. Shaving products also provide lubrication for the blade of your razor as it slides across your skin, so it doesn’t cause irritation. Typically, they includes some moisturizing and pH balancing ingredients to keep your skin feeling its best after the blade is gone. It turns out that the base ingredient which does these jobs the best is good ol’ soap. “Shaving oil” provides lubrication and keeps the blade from digging into skin, but it doesn’t do anything to make hairs easier to cut. All shaving creams are based on a soap or detergent of some type, but since those ingredients by themselves dry out your skin, the other ingredients can make a big difference. Glycerine, for example, is a byproduct of the fat-to-soap transformation, and is often mixed back in with the final soap products because it helps keep water molecules around and hydrates your skin. It’s hard to say precisely when barbers started to use soap instead of oil for shaving, but the oldest manufacturer, De Vergulde Hand in the Netherlands, has been making shave soap for over 460 years. Colgate and Palmolive started out with soap sold for shaving, and Williams “Mug Soap” is still quite readily available 176 years later. “Hard” soap is rolled or “milled” (often “triple-milled”) to squeeze air and water out at the end of the soap-making process: a cake of dense soap will maximize the number of shaves you get per ounce. Shaving soap will also extra moisturizers compared to something like bath or hand soap, and it’s designed to froth into a rich, dense lather. 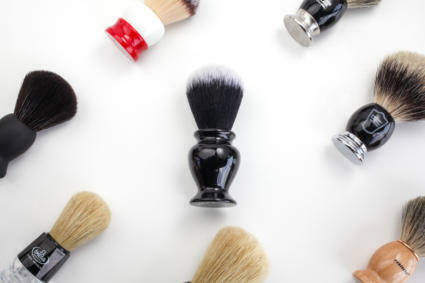 You could just rub a hard cake of soap onto your face, but you really need time and practice with a shaving brush to make lathering up an enjoyable part of your day. We considered including hard shaving soaps in this lineup, but comparing creams you can apply with your hands to hard soaps that you need a brush for is a different sort of review. However, if you’d like to give it a go, there are plenty of decent brushes (check out our review) that won’t break the bank. Buy some cheap-but-reliable Arko soap and check out the lathering how-to resources offered by enthusiast communities like Badger & Blade. In a week or so, you’ll be lathering up mounds of white foam and ordering samples of more soaps just to see what they smell like. About 100 years ago, shaving soap manufacturers like Colgate and Mennen made shaving more convenient with extra-soft soap packaged in a tube. The biggest change is that these creams are pre-mixed with water and have even more glycerine and oil, typically enough that you can spread it on your face right out of the tube or jar. Other manufacturers jumped aboard the trend, and even well-established soap makers like Taylor of Old Bond Street began selling easy-spreading “cream” soap. The drawback to this kind of old-school formula is that if you don’t use enough water, these creams can be too thick for easy rinsing. If you don’t care about old-timey barbershop lather on your face and just want to get through a shave already, this might be what you’re looking for. While non-lathering creams use a familiar set of ingredients to get water into your hairs, they’ll typically use fewer foam-inducing detergents or soaps, and even higher ratios of additives like oil and glycerin. 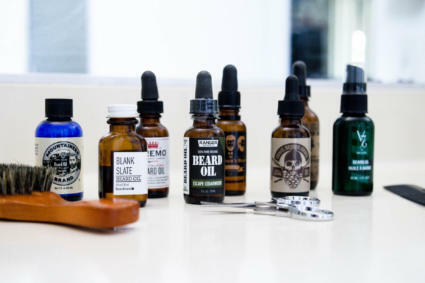 These are modern formulations generally not trying to specifically please the cadre of Instagrammers posting pictures of shaving lather every morning. “Non-lathering” is a bit of a misnomer, though. Except for the shave butter, all of these products are still soap- or detergent-based and will make some lather if you work them vigorously. Some lather very well. The clearest distinction we can make is that you won’t have to add as much water to thin out and spread a “non-lathering” or “brushless” cream, and using a brush doesn’t provide as much of an advantage with these products for that reason. We’ve used a brush in our demonstration pictures to show just how foamy each sample is in a more uniform way, but our testers weren’t using brushes for the shaving data we collected. Sure enough, there’s plenty of water and soap/detergent in that can of foam. After all, most recipes are around 80% water. The basic mode of action is the same as in any lathering shave product, but aerosol cream uses propellant (a compressed gas, like isobutane) to create the luxurious foam as it comes out of the can. “Gel” shaving products are basically the same thing, but stored and dispensed as a “semi-solid micro-emulsion.” Basically, this means that added volatiles or solvents keep the soap in gel form until you spread it around, at which point everything but the water/soap/moisturizer mix evaporates and makes tiny foamy bubbles. It’s a neat trick, but it’s basically still just extra-thick shaving foam. Aerosol delivery has been an unmitigated, run-away-freight-train success. Even some of the old standby shaving soap brands, like Proraso and Tabac, are available in aerosol cans. The biggest drawback to aerosol delivery is that, while it’s convenient to have the can do all the work of lathering, massaging soap and water into your stubble might make the hairs easier to shave (though some dispute that claim) and will definitely exfoliate your skin and clean your pores. Shaving cream reviewers will sometimes talk about “cushion” and “glide”, but neither of those qualities is well-defined. You can be sure, though, that with some combination of bubbly foam and lubricating fats, the best shaving cream should help keep your razor from scratching or scraping off your skin while it mows down stubble. Gels tend to have more lubricating and hydrating ingredients, but you can typically find a range of additives (along with a range of scents) in both foam and gel cans from the same manufacturer. 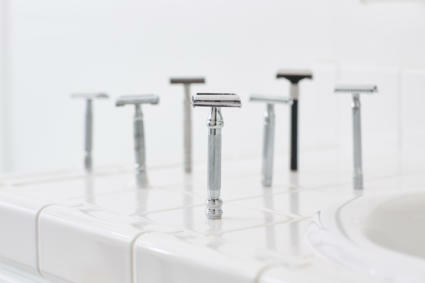 Creams that use more oils and emulsifiers to lubricate and moisturize can clog your razor. You should be able to shave most of your face before you need to rinse, and that should only take a few swishes in a basin. These qualities are part of a balancing act; you don’t want a watery/airy cream that won’t protect your skin, but you don’t want a greasy paste left inside your razor, either. Some razors are more vulnerable to clogging (Gillette’s Fusion clogs faster than the Mach 3, for example). How frequently you rinse, whether you try to shave against-the-grain to get extra-close, and how long/thick your stubble is will also make a difference. We estimated usage based on manufacturer guidelines and our own testing results; your actual use of the products may vary. The best shaving cream in the world isn’t going to help you get a good shave if you use it up while you’re traveling and can’t find any more locally. Likewise, it can be frustrating trying to choose a product based on a picture when one of its most important qualities is the scent — being able to smell a cream in the drug store is a big bonus. This is a list of some key ingredients in each product, noted in the same order as they appear on the product ingredient lists. When picking a shaving cream for sensitive skin, use your best judgement with regard to the “best” ingredients. Fragrances, botanical oils and soaps can all cause irritation if you’re sensitive to a particular compound. We can’t point to a shaving cream that will be 100% irritation-free for all people, but we did tally all of our testers’ responses about dryness, irritation and redness for you to reference. Many advocates of traditional or “wet” shaving are quick to describe the difference between ingredient lists on their favorite soap and those of the popular “canned goo” products. The implication is always that simpler is better, and chemicals with complex names are inferior, if not harmful. It’s worth noting that the simplest ingredient list of all the products we tested was for Barbasol: water, soap, detergent, propellant, fragrance. Some of the “scary” ingredients like triethanolamine (used to balance the PH of soap ingredients) show up in both “canned goo” like Edge gel and high-end creams like Taylor of Old Bond Street. Ingredients like stearic acid (historically from animal fat, sometimes isolated from plant oil) and sodium hydroxide (lye) are all part of the soap-making “saponification” process, producing soap chemicals like the very common sodium stearate. If you see a familiar plant name worked into a list of chemical ingredients (like “sodium sheabutterate” or “sodium sunflowerate”) it’s soap from the same process as tallow soap, but with a different oil. Detergents like sodium lauryl sulfate (“SLS”) or isethionates are usually made from more ‘industrial’ ingredients than the old-world tallow and lye soaps, but they do the same job. The biggest effective difference between old-style soap and modern detergent is that detergents don’t bind to the minerals in hard water the way soap does, which means you’ll get more consistent foam and less scummy mess if you live in a hard water area. Botanical extracts (from plants with non-medicinal beneficial properties) can soothe irritation and provide extra moisture for dry skin. That said, the most frequent complaints we saw in our blind test are probably related to all-natural botanical ingredients: one of our testers got a rash from both Proraso and Nivea creams, which contain eucalyptus and chamomile respectively. Parabens and sodium lauryl sulphate (SLS) have made many lists of “ingredients to watch out for,” despite reassurances from most researchers and regulators that the compounds are quite safe at the concentrations we see in products like shaving cream. Parabens used to be common, but the social media buzz has mostly convinced manufacturers that switching to other preservatives is worth any added expense. Interestingly, Aveeno is the exception here, still using a few parabens to prolong shelf life and prevent bacterial growth. Sodium laureth sulphate has mostly been phased out of use because of concerns over dioxane contamination risks. Sodium lauryl sulphate is a related detergent made without that risk; it’s in many of the creams we tested (especially the canned products.) The most substantive complaint about SLS is that it’s an irritant, but other soaps are also irritants. Don’t apply shaving cream to your eyes, no matter how friendly the label seems. We found vegan labels on a few of the products, but the most popular soap base, stearic acid, is often taken from animal fat. Glycerin (a byproduct of that soap) has the same story. The same compounds can be derived from plant oils: when a brand like Pacific Shaving Company or Kiss My Face makes vegan shaving cream, they have to go a step farther in specifying ingredient sources with suppliers. We selected six testers, each with his own unique shaving history. Their hair types varied from thin Caucasian to wirey Afro-Caribbean, and a full spectrum of shaving practices is represented. We distributed samples of all ten products in generic containers (or painted-over labels, in the case of aerosol cans.) Testers shaved as they normally would, with the same razor and pre-shave preparation they’re used to. Though, if any participants were not showering or getting their faces good and wet before shaving, we encouraged them to try doing so before testing any of the products. Each product was tested for at least a week of shaving, with a different product on each side of the face to get a better comparison. Notes were taken on daily shave results (including a tally for nicks, irritation and dryness) and we asked for summary feedback on slickness, ease of rinsing, skin feel and closeness. Cremo’s “Astonishingly Superior” Original Concentrated Shave Cream is in many ways like a traditional shaving cream, but formulated for a modern market where most people have never seen a shaving brush or a razor without lubricating strips. The instructions on the side of the tube give excellent results, and the “90-day supply” claim is accurate if you don’t go overboard and squeeze out more than you need. Cremo is relatively thick compared to something like Kiss My Face, but it’s still easy to apply. A reasonable analogy is canned gel; Cremo is similar to other creams, with more protecting and moisturizing ingredients, but the main difference is the mode of delivery. Cremo’s concentrated formula isn’t quite like anything else, but the light lemon scent and moisturizing oils definitely make for a great shave. This price is for two tubes! While Cremo does lather (stearic acid is the third ingredient), it’s harder to whip into a stable foam than something like Proraso or Taylor of Old Bond Street; then, after a minute or so Cremo goes transparent on your face. Rub or brush in a bit more water and it will foam up again. Lather or not, it gives a great shave. The concentrated blend of soap, detergents and oils will leave behind a film that still re-foams if you rub your face with wet hands after a first pass with the razor. This does mean that it clogs the razor more than the thinnest creams if you put it on thick. However, on an aggressive and easy-rinsing razor like a Mach 3, it doesn’t cause any problems and it provides helpful protection. The original formula we tested is nearly unscented, but it has a slight, clean citrus aroma (think lemon, maybe a hint of bergamot). A few of our testers said it was their favorite scent of all the samples. If you want to get a little bolder, Cremo now comes in four new scents: Sandalwood and “Cooling” (with peppermint, menthol and tea tree oil) for men who want a bit of tingle after a shave and Lavender Bliss or Coconut Mango scents for women who want a botanical vibe. In 2018, Cremo started selling an exclusive Bourbon scent at WalMart. Cremo – Concentrated Shave Cream is unlike anything else on the market, easy to apply yet lubricating, like a high-end soap lather. This stuff is easy to find, smells subtle-but-great and comes in other scents if you want something bolder. A six ounce tube should easily outlast two cans of aerosol cream! TSA-approved travel sizes are also available. 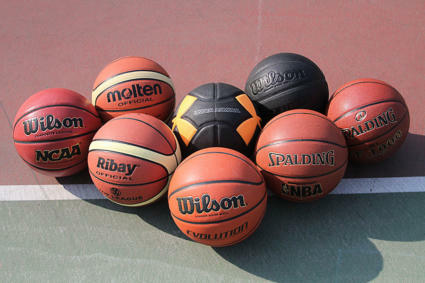 This is the top end of our testing range. Taylor of Old Bond Street Shaving Cream isn’t the most expensive cream out there: Castle Forbes is award-winning shaving cream made in an actual castle and Truefitt & Hill are barbers for the British Royals. 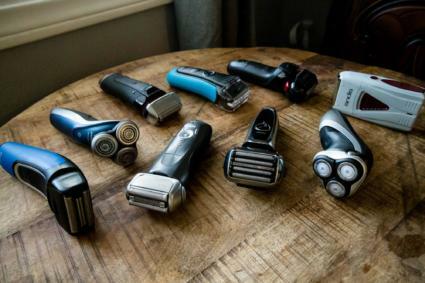 But at double the price (or more), we don’t think those products represent a worthwhile upgrade for any except the most discriminating shaving connoisseurs. Taylor’s is a family-owned barber and hairdresser establishment in the St. James district of London, but they also sell a line of men’s grooming products and fragrances. If you’re looking for a classy scent in your shaving products, these folks definitely have something for you. While it’s relatively expensive, this is also the thickest, densest cream we tested. It’s about the consistency of whipped butter. Since it’s so concentrated, it needs a lot of water to make it shaveable. (With a shaving brush it’s pretty easy to get the ratio.) Even starting with a small dab of cream on your cheeks and massaging generous amounts of water into your face, you’ll get a great shave. This might be your grandpa’s shaving cream if he’s a London politician or investment banker. Luxury feel and scents, but available at a reasonable price. Beard-wearers note: if you rub leftover Taylor of Old Bond Street shaving lather into your facial hair you might never buy beard oil again: the cocoa-seed butter makes this a great conditioner. How our testers felt about this cream seemed to depend entirely on how much water they expected to add. In our blind test those who tried shaving without enough water found Taylor of Old Bond Street mediocre (it’ll clog some razors quickly if you’re not thinning it out), but everyone agreed that it makes the skin feel soft and smooth with great protection from nicks and irritation. The scent we provided our testers is the modern, floral-earthy-citrus fougère scent of the “Jermyn street” collection, which aims to be allergen-free and refreshing for sensitive skin. This dense cream loves to lather, so the 5.6 oz. tub is enough cream to supply your luxurious shaving experience for four months if you can limit yourself to ¼ teaspoon per shave. (That makes for an expense of around $42 per year if you shave nearly every day.) It is easy to use more than you need, though. 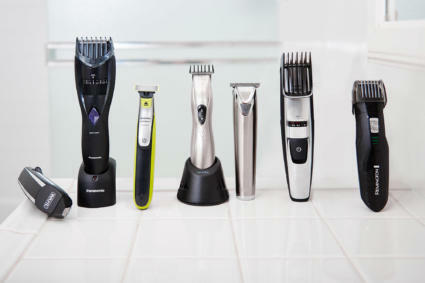 At the end of the day, this isn’t a buy that will make you feel like you got a bargain or even a more efficient shave. This is the kind of personal-care product that rewards a slow, relaxed pace in your routine, transforming drudgery into luxury. Taylor of Old Bond Street shaving cream makes you think about trying sample packs and ordering other scents for special occasions, or buying a premium hand-made shaving brush to make your morning even more luxe. Taylor of Old Bond Street makes shaving cream for people who want a luxurious shave with great scents that leaves skin soft and supple. Mail-ordering a sample pack is probably the best way to find the scents you like most (unless you live near a specialty shop). This cream might be your first step down the rabbit hole of Shaving Cream/Soap Acquisition Disorder; if you’re not careful you might buy more than you can ever use. We intended to pick a recommended canned shaving cream, but none of these rose to the top. Among the four, each has a selling point: Edge is the most protective, Nivea gives the closest shave, Aveeno strikes a balance that garnered a few “favorite product” picks (though some found it drying) and Barbasol was an underdog favorite of one tester and is by far the most economical. None of them performed better overall than Cremo. Edge – Shaving Gel is the biggest single line in shaving cream, and if you’ve been shaving for more than a few years in North America there’s a good chance you’ve used one of their gel products. 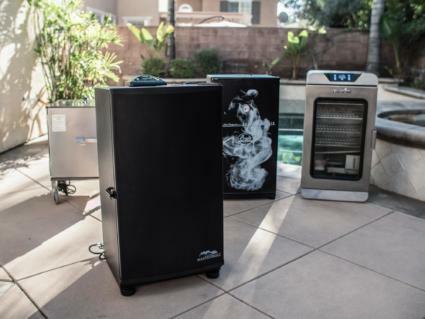 If you really want a canned product, but want more protection than old-school foam offers, this is probably your best buy. It performs very much like Aveeno’s “Therapeutic” gel (they both note colloidal oatmeal as a key ingredient), but Edge typically sells for a dollar less per can (maybe even less if you get it on sale). Between the two, Edge seems to protect a bit more, while Aveeno gets you a closer shave. Edge has an innocuous scent (similar to Aveeno, but a bit stronger) and lathers generously. However, it’s easy to spray out far more than you actually need. If you were very careful in how much you used, you could probably get the 40-70 shaves Edge claims out of a seven-ounce can. Aveeno introduced their Shave Gel in the 1990s to complement a line of oatmeal-enriched skin creams. It’s a popular shaving product among those who started out with something from Edge or Gillette, but experienced irritation or other problems, like ingrown hairs and shave bumps. Aveeno’s gel is slick stuff, providing plenty of lubrication and moisturizing. The scent (no fragrance, just the smell of the ingredients) is very mild and neutral; you won’t smell like a barber shop after using it, but you won’t smell like a perfume counter or a fruit stand either. One tester said it was his favorite smell! Availability for this product is great, but economy not so much. This is definitely targeted at people who anticipate having problems with any other product and will pay double or triple the price of a basic canned cream to avoid those problems with a trusted brand. This is a good shaving cream; it works like a good cream should and doesn’t get in the way of your razor. Plus, botanical ingredients help soothe irritated skin. Most liked this cream slightly more than Barbasol (it helps the razor glide a bit more), but nobody picked it as a favourite. Notably, in our blind test, Nivea’s canned cream tied or fell behind the tube-based manual-lathering cream in every category except ease of rinsing. The tube contains extra oils that make it a bit slicker and more moisturizing, and of course doesn’t use aerosols to create the bubbles. Both cheap and readily available, Barbasol is about as simple and honest a product as you can get. The can is red, white and blue, and smells like a barbershop. Despite the fact that Barbasol uses SLS along with the stearic acid in their soap formula, our most sensitive-skinned tester had no problems with this cream, and chose it as his favorite. If you’re prone to irritation and drying caused by the propellants used in canned shaving cream, this won’t be a good choice for you. Some people also don’t like the smell. That said, there are typically a few other Barbasol scents available to sample at your local drugstore, and there’s nothing really wrong with this stuff; it’s about as solid a baseline as you can get for a canned shaving cream. With the biggest can at the lowest price, even if it is 80% water it’s hard to argue for a better value in shaving. You could probably get away with buying six dollars worth of Barbasol cream in a year, maybe less if you find it on sale. Some guys even claim crazy results like 255 days of shaving out of the $1.36 10 oz. can. As a bonus, every time you get a new can of Barbasol, you may catch yourself checking to see if there are smuggled dinosaur embryos hidden inside. Note: Barbasol is one of those cheap and plentiful products that is sometimes horrifyingly expensive on Amazon. At press time, the six-pack price is still the same as what you’d pay at the drugstore, but the single-can price is marked up heavily. Van Der Hagen has been around as a soap supplier for a while, but they’ve jumped on board the upgrade-your-shave train with a full line of soaps, creams, a razor-and-brush set and this “Shave Butter” (most of which you can find at your local big-box discount retailer). This stuff is not too thick to apply directly; it actually feels runny compared to some other creams, but you won’t feel your razor singing through hairs. 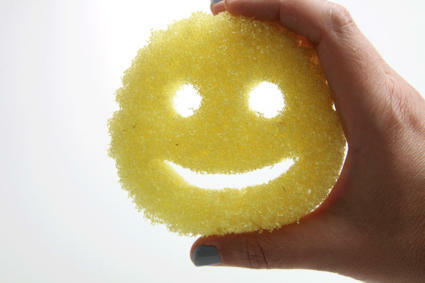 Adding water and swirling it around your face does not produce any lather or foam, even with a brush. Shave Butter is not an especially protective cream; this formula seems to go all the way past the lubricity end of the scale into shave-oil territory. Razors that plug easily will need frequent vigorous rinsing when you use this stuff, and while it helps moisturize it didn’t seem to do anything to stop nicks. This could be because of the extra aggression required to get a close shave. The scent of this product seems to come mostly from the plant oils, and maybe a hint of vanilla; it’s a lot like shaving in the same room as a batch of fresh cookies. This ranked second-last for performance, but for leg-shaving in the shower (where dryness might be a bigger concern than protection against nicks) we got some very positive feedback. Then again, it might be the cookie-baking scent. This is a love-it-or-hate-it product. Like the above shave butter, this stuff isn’t intended to lather. (Though as you can see, it does make some foam if you work at it.) Trader Joe’s has mixed their “Honey Mango Cream Shave” to a relatively concentrated gel-like consistency. While this has all the right ingredients to protect your skin from a razor and keep you irritation-free, it’s not any good at getting you a closer shave. It’s hard to rinse, and despite all the moisturizing additives, none of the testers felt it did anything special for their skin. If you really want to lather this stuff, it will foam up with a shaving brush — but the foam is ‘bubbly’ and thin. Basically all of the advantages it has when smeared on will disappear quickly when it’s thinned out; in that sense it’s a lot like the Van Der Hagen shave butter, but more difficult to apply. And then there’s the scent. If Honey Mango is the smell you’re going for, this is sweet and tropical like a cocktail on the patio. Most of our testers hated it, but (again) plenty of women like the idea of a big tube of concentrated, fresh-smelling shave goop. The main thing this “cream shave” has going for it is price: our local Trader Joe’s was selling the eight-ounce tube for $3.99. Since it’s relatively thick, that makes it the most economical tube-based product we tested. (Given that it’s so much more goopy when applying, though, we’re pretty sure you’ll wind up washing as much of it down the drain as any other product.) If you don’t have a local Trader Joe’s, paying inflated prices online is definitely not recommended. Kiss My Face – “4-in-1” Moisture Shave is not a traditional shaving product, but it’s been around for 30 years and has a devoted following. 100% vegan and cruelty-free, this stuff aims squarely at people who want great shaving performance without any second-guessing about ingredients or ethics. KMF is a bit harder to find than our top pick, but it’s often on the shelf at Whole Foods and Walgreens, and we found it at Albertsons in California. We only saw the unscented “moisture shave” formula when we did see it on the shelves. While there are no fragrance ingredients, this does smell like salad oil. Most of the scented formulas that you can find online are said to have only very, very mild fragrances; the lavender or “Natural Man” versions are reportedly the only ones with a lasting scent. KMF is easier to apply than Cremo, but it doesn’t really reward any further effort. Once you get the hang of how Cremo reacts to water and agitation you can get a closer shave than with KMF, and better protection leading to less irritation. Our testers found that Cremo left the skin feeling softer, too. KMF is well known among shaving nerds as a good product for a quick shave, and many use it as a “superlather” booster that can turn a cheap hard soap into an amazing shave with additional foam & slickness (especially in hard water). In our blind test, most had mixed reaction to KMF, some wondering if it was runny because it had gone bad. It performed well, but nobody liked it quite as much as Cremo. A company that popped up seemingly overnight and is aggressively pursuing the shaving-product market, Pacific Shaving Company puts out a solid product, though the Caffeinated Shaving Cream we tested was the most expensive in our lineup, and more than a bit gimmicky. PSC invites you to “put caffeine on your mug, not in it.” The cream is supposed to “start your morning off with a kick,” and they claim that the antioxidant properties of caffeine “helps promote healthy skin.” It’s also vegan and cruelty-free. Though they don’t say anything about lathering on the tube, this stuff is indeed mostly water and soap. Thin and easy to spread, the botanicals (aloe, shea) help it keep up with the pack for post-shave skin-feel and a hefty dose of spearmint extract definitely gives it a unique scent. The caffeine… well, nobody told us they felt especially anti-oxidized. We’ll keep the caffeine in our mugs, thank you very much. If this were priced competitively, it might be a contender for a runner-up recommendation, but being so thin it’s also not especially protective. You’re far better off spending money elsewhere. This cream would probably cost you $50 per year if you used it every day, double the cost of our top pick. Then again, if you love the minty spearmint scent of toothpaste and have always longed for a way to shave with it, this might be the cream for you. Proraso is made by Ludovico Martelli S.R.L., a family-run cosmetics/grooming manufacturer that claims to be the oldest in Italy. They’ve been selling this stuff in a tube since 1948. It’s a trusted product that pretty much defines the barbershop shave for several generations of Europeans (and more than a few Americans). Martelli has refined the Proraso formula a few times, most recently to remove parabens from the recipe. The tingle of menthol and eucalyptus (and the corresponding “Italian barbershop” scent) remains. Proraso lathers like a dream if you use a shaving brush, and it still gives a great shave if you’re just rubbing it into your face with wet hands. Like most traditional shaving creams, a little of it goes a long way! Proraso’s limited availability coupled with the unique scent and feel make it hard to recommend sight-unseen; not everyone liked the scent or the menthol-tingle of this cream, and if you’re used to canned shaving creams then applying a lathering cream might take some getting used to. One of our testers hated Proraso. This might be the easiest traditional shaving product to find in some parts of the country, but we haven’t seen any locally in California. You can almost always find it at Bath and Body Works with a different label: C.O. Bigelow distributes Proraso’s original formula under their own label, and B&BW is a good place to go if you want to sample it. If you see it on sale in the big tube, it’s worth smelling to see if you want to try it, but we all thought Cremo gave a better daily shaving experience. Beiersdorf has been making the Nivea line in Germany since 1911, and shaving cream specifically since the 1930s. Nivea’s Sensitive Shaving Cream is all but unavailable in the US these days (most retailers stopped carrying the tubes in the last couple of years, switching exclusively to the canned gel), but it’s widely available at bargain prices in much of the world. Along with Proraso, this is one of the most trusted products in shaving worldwide. It protects slightly better than Proraso, though it may not be quite as easy to rinse; the lather also isn’t quite as stable as Proraso’s if you want mounds of dense foam that will last for your entire shaving session. Some didn’t like the feel of the botanicals (chamomile, witch hazel), but on average this cream tied for second place in skin feel. It’s a great shaving cream, with an inoffensive fragrance reminiscent of Noxzema and other skin creams. If you’re travelling and see this shaving cream for cheap, it’s a good buy. Paying between five and seven dollars for a 3.5 oz. tube on Amazon, though, just doesn’t make sense. Shaving is a highly individualized part of our lives. We might use different razors or shave during different parts of the day, and we all have hair growing in a unique pattern. We can’t (and probably shouldn’t) all shave like Mark Herro. 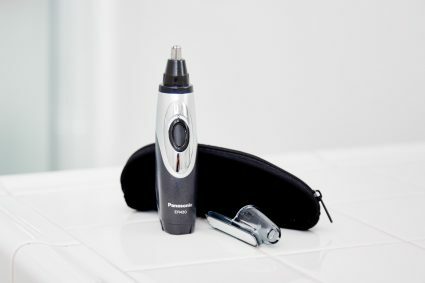 This review only covers one part of the shaving experience; if you’re pondering a razor purchase, don’t worry, we’re working on that review too! 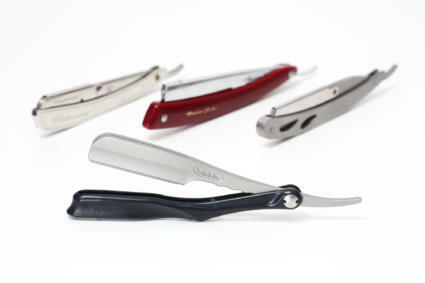 But we’ve tried to make sure that our recommendation here will apply to a broad range of shaving styles. If you do want to dip your toe into the world of luxury shaving products, Taylor of Old Bond Street makes a fantastic cream that you can mail order for a reasonable price. It’ll take a bit of practice to get the most out of it, but it really does add a little something special to a shaving routine. We wondered what our testers would do without specific guidelines for how to use it; we just told them that some products were highly concentrated and would need generous amounts of water massaged in. The results came in overwhelmingly positive for Cremo. Even among testers who hated most of the other non-aerosol products, Cremo ranked high. It seems that they really did find a way to bring a better shave to everyone, and that is pretty astonishing. Cremo provides great protection, close shaves, and a great scent. It's also easy to find locally and a good value.